In an interview with CBS This Morning Saturday, the musician claimed the band's female frontrunner is largely to blame for his departure. He said he first got a hint something was wrong when he got a call from the band’s manager Irving Azoff saying Nicks was upset with him. "(He) called me up and he was basically screaming at me ... saying, 'You've really done it this time.' And I had no idea what he was talking about," Buckingham recalled. "He said, 'Stevie never wants to be on stage with you again,' and I'm going, 'Why?'" 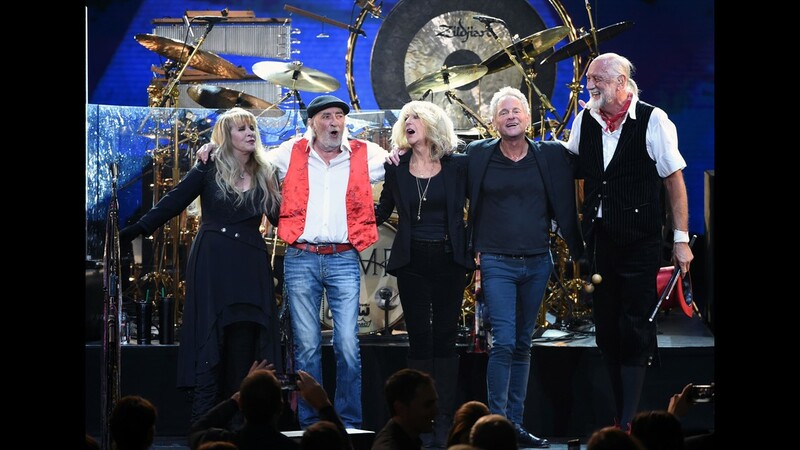 In a separate interview, bandmates Mick Fleetwood and Nicks told CBS that Buckingham's reluctance to sign off on a new tour with them was to blame. Buckingham insisted, however, that he had agreed to postpone his own solo tour in order to tour with the band. He added that Azoff told him Nicks was upset with his behavior at the MusiCares event in January, complaining that he smirked as she gave her acceptance speech. “It appeared to me that she was looking for something to hang on me, in order to instigate some kind of coup," Buckingham said. “Irving told me – a couple of days later – that she’d given the band an ultimatum, and either I had to go or she was going to go." Buckingham, 69, joined the group in 1974 with then-girlfriend Nicks, and had been its frequent frontman and sometime songwriter for most of the years since. He wrote and sang hits such as "Go Your Own Way" and "Tusk."